EPW022752 ENGLAND (1928). The town, Henley-on-Thames, 1928. This image has been produced from a copy-negative. 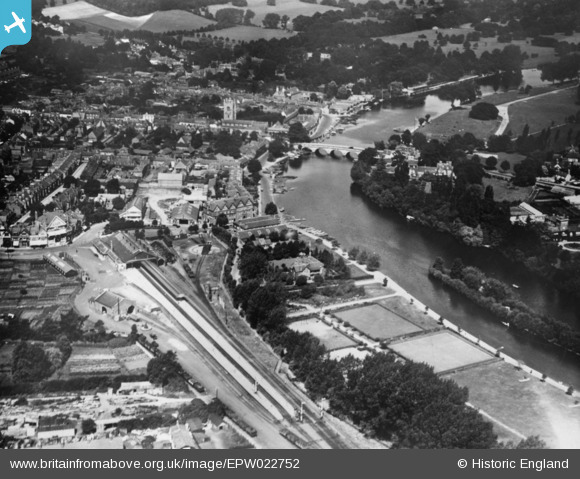 Title [EPW022752] The town, Henley-on-Thames, 1928. This image has been produced from a copy-negative. Track pits and turntable to aid the servicing of locomotives.